MEP Cofounder Barton Rubenstein recently met with Jay Feldman, the Executive Director of Beyond Pesticides, a non-profit organization that is focused on understanding the dangers of using pesticides on our lawns, as well on our farm lands across the country and worldwide. And the main summary is that placing yellow signs on our lawns to warn people not to walk on the grass does not sufficiently protect us from the multiple health hazards that exist for everyone, not only nature but the entire animal kingdom. You might be aware of the recent Monsanto lawsuit, involving a man that originally had a rash that became cancer. Unfortunately, just because everyone is using pesticides these days does not imply that it is safe. We urge everyone to visit this website, www.BeyondPesticides.org to learn more about the hazards and the disturbing supporting scientific evidence. THIS THREAT IS REAL AND WE NEED YOUR ACTION! It is still possible to have a healthy green lawn! Aerate and Over Seed: In early spring and fall, aerate and over seed your yard with the appropriate grass seed (ie shade vs sunlight). Over seeding is the best way to fight weed growth. If you already have a lot of weeds, you can ask your landscaper to hand pick them, but eventually over seeding will win the day! Use Organic Fertilizer When You Seed: As an example, use a spreader machine and a granular fertilizer called Ringer’s Lawn Restore that can be purchased at American Plant Food (or local garden center). 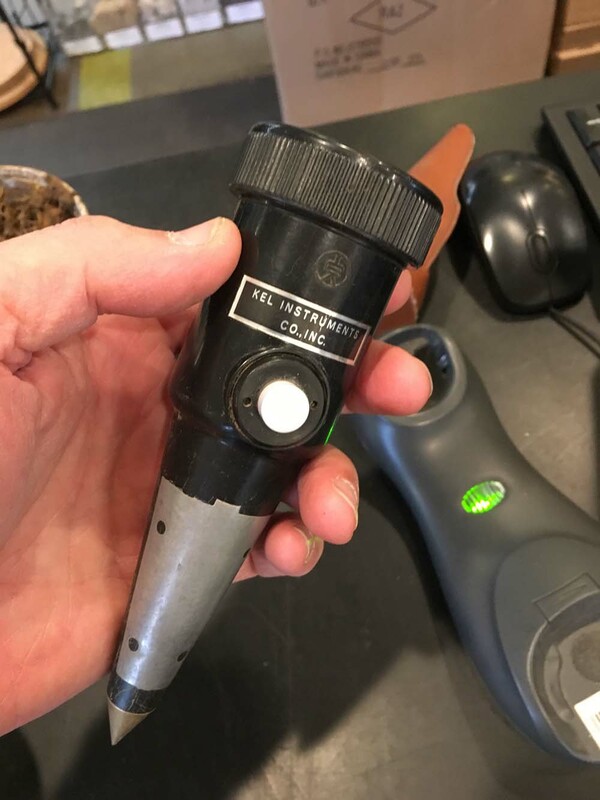 Test Your Soil: Take a coffee pot full of soil to your local garden center and typically they will test for free your soil’s acidic level (see below image), which determines whether you need to add lime to your yard. You can also get a SOIL KIT to send to the University of Delaware for further testing ($15) to determine if you yard needs other things. 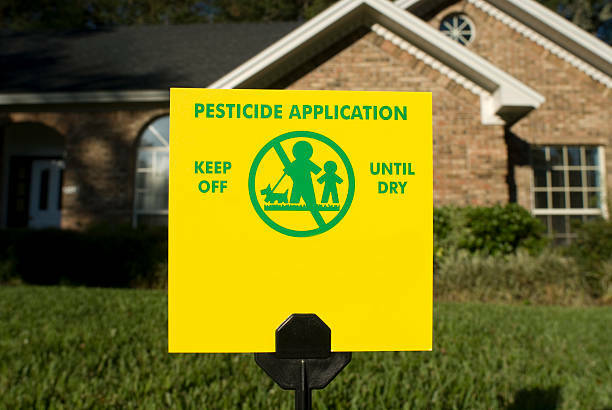 Please talk to your landscaper about going pesticide free! Most landscapers already provide this service! The result of this simple change will bring more birds and bees back to your neighborhood. Please let us know if you have any questions by contacting us HERE.